Some plein air painting is done in urban settings. Here I am near the Betsy Ross House in Philadelphia. There are times when just my watercolor pad with paints is all I need to paint making it easy to paint any where. 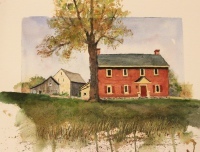 Plein Air means sitting in front the the object you are painting so you are painting directly from the object. This shows my set up in the farm at the Kuerner Farm in Chadds Ford. Chadds Ford, PA on a late spring day. 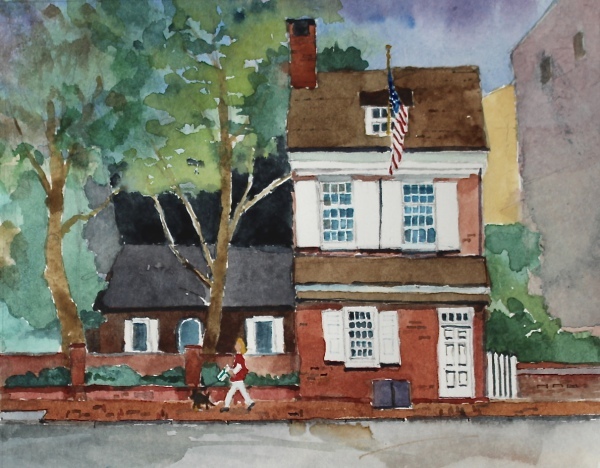 I painted the Betsy Ross House sitting on my stool at the curb across from this historic property as trucks and cars passed by. Couples from New Zealand and France stopped to chat as I painted. 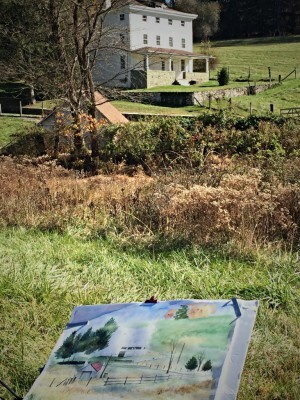 It was a special plein air experience. This is called steps to N.C Wyeth studio. You can see it through the trees up the hill. 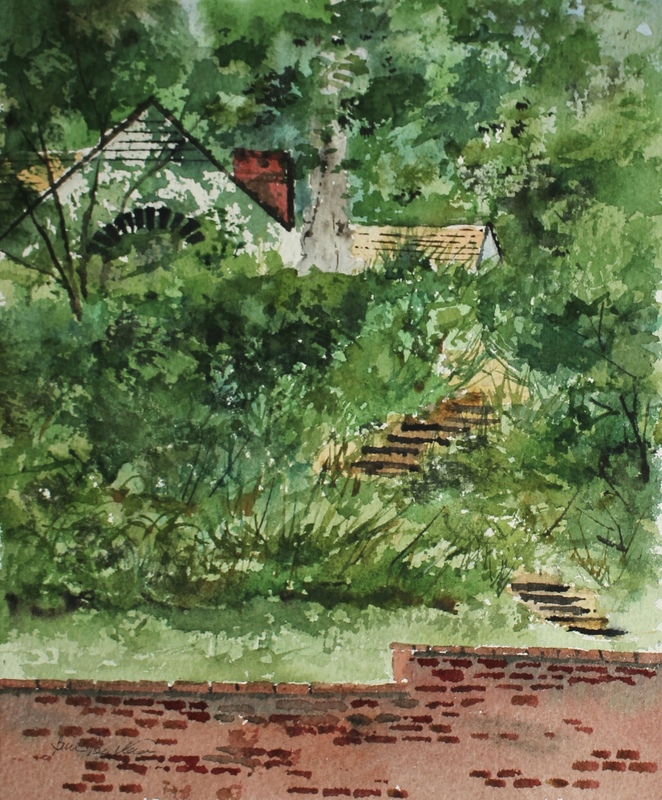 I sat next to the back door of N.C Wyeth home to paint this. 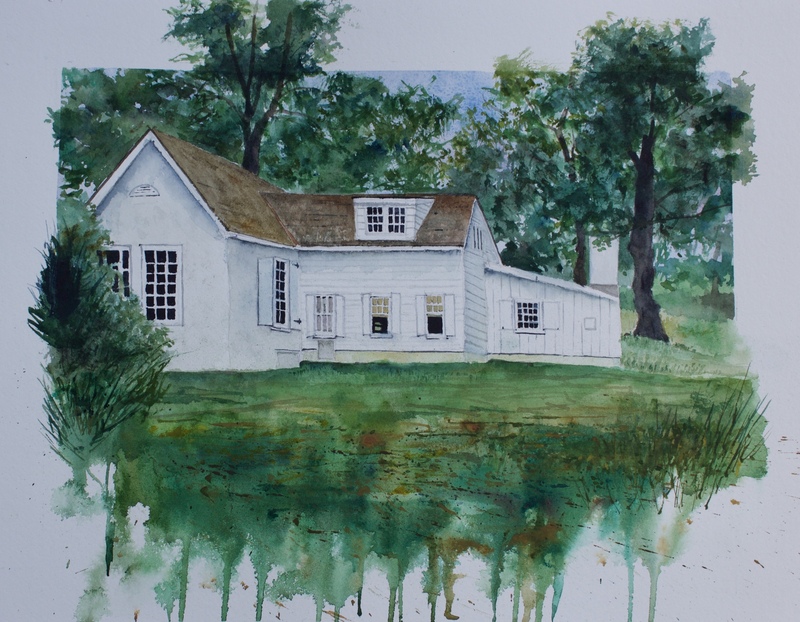 What a treat is was to paint during our ON LOCATION EVENT on the properties of the Brandywine River Museum. 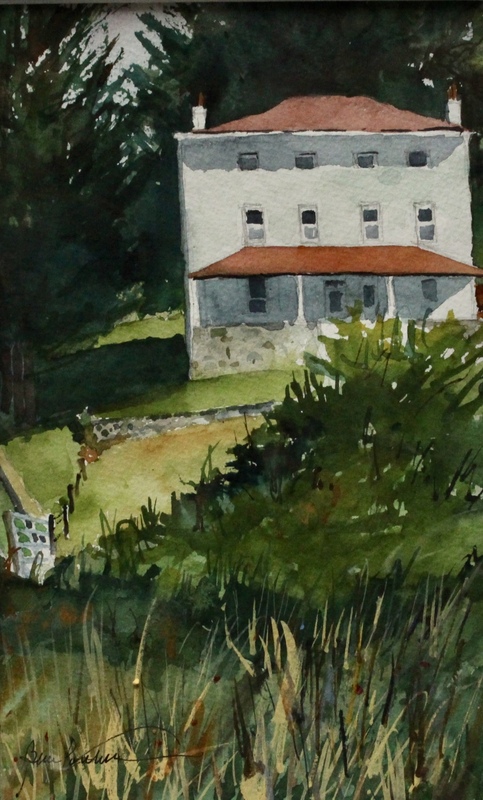 here where Andrew Wyeth painted for 7 decades. You have to come see the farmstead and enjoy this fantastic location and take the tour.